Leagoo M9 Pro has been launched quietly by the company. The device popped up on popular online store Aliexpress yesterday with an affordable price tag. 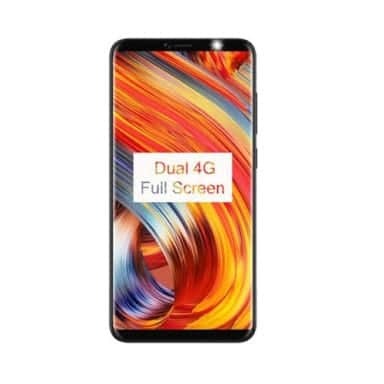 Its predecessor, Leagoo M9 was the World’s first quad-cam smartphone with bezel-less display, according to the company. However, the Leagoo M9 Pro comes with just 3 cameras which have been improved obviously. The battery capacity on the Pro version is also pretty much bigger as well as the screen size. Running on the latest Android operating system and boasting of nice specs. The Leagoo M9 Pro is a total package that gives true value for money. 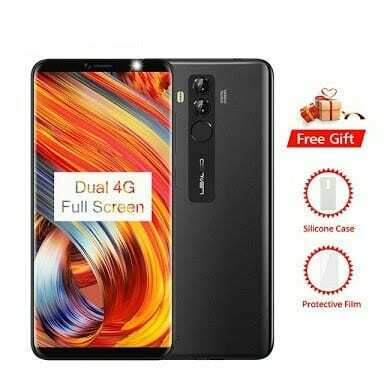 What is Leagoo M9 Pro Price and Availability Status? Leagoo introduced Metal to compliment the Plastic body when designing the Pro version. The rear reflects light in the most subtle way, looking much better than most budget smartphones. The dual shooters at the rear are still in a vertical position with the fingerprint scanner underneath. The dual-LED flash has been moved all the way to the left, while the Leagoo logo is now underneath the fingerprint scanner in a vertical format as well. Nonetheless they both measure the same 9.5mm in thickness and weighs 153g overall. You can get the device in Gold, Black and Blue colors. A bigger view for Leagoo lovers here, the M9 Pro offers a bigger screen than its predecessor and less bezels obviously, dishing out an 18:9 aspect ratio. The front LED flash now sits by the right hand side of the speaker grille at the top bezel, while the single selfie camera sits to the left. Focusing on the screen, the 5.72-inch FHD+ IPS LCD capacitive touchscreen stretches all the way to the sides, with no narrow bezels in sight. Boasting of a resolution of 1440 x 720 pixels with 281 pixel per inch density, everything on the screen should be visible and sharp enough for users. The screen has GFF Full Lamination technology, 70% NTSC, 178 degree viewing angle. It also stretches up to 80% screen to body ratio, which is the highest ever for a budget smartphone. Behind this beauty is a MediaTek MT6739 chip with Quad-core processor and 64-bit CPU architecture. The 4-cores of processor runs at a fast speed of 1.5GHz with 28nm process technology. The PowerVR GE8100 graphics processor, handles graphics and clocks at 450 MHz. Handling heavy tasks and apps is the 2GB RAM space with a memory speed of 667MHz. The same storage space of 16GB is available as well, you can always upgrade further up to 32GB using a memory card. 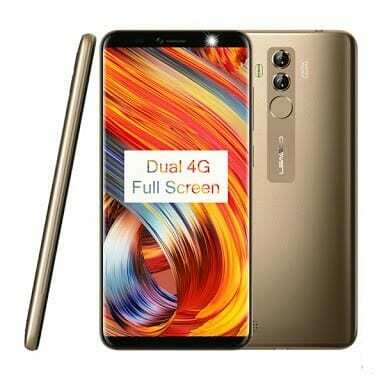 Leagoo M9 Pro runs on Android 8.1 Oreo out of the box with modified user interface. A much clearer 13MP + 2MP camera is available at the rear for photography. Capture photographs with 4160 x 3120 pixels in dimension with the Leagoo M9 Pro. The camera comes with a dual-LED flash and other quality features as well. The 5MP selfie camera has f/2.2 aperture, 1.65um pixel size, LED Flash with face identification technology. Powering the Leagoo M9 Pro is a 3000mAh non-removable Li-Po battery with no fast charging technology. Even without the fast charging feature, it shouldn’t take up to 2.5 hours to fully charge up the battery from 0% to 100%. The Leagoo M9 Pro is available on Shopping stores from $89 (N30,000) to $119 (N40,000). Click on the links above to view the latest Leagoo M9 Pro price & availability on Shopping stores. I cant order leagoo m9pro to Serbia, can you help me ?